With Kinder Surprise at risk of becoming the latest brand to be accused of gender-bias, Marketing looks at five other gender-based campaigns that have offended their audiences. 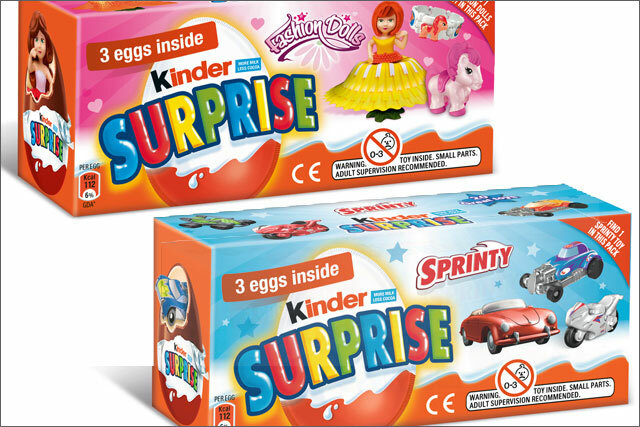 The blue and pink Kinder eggs will be available in three bursts over the next 12 months and will also feature licensed toys, including Disney Princess (pink) and Marvel heroes (blue) in February 2014, and Barbies (pink) and Hot Wheels (blue) in June 2014. Brand owner Ferrero has already denied any gender bias and stressed that its £5.3m marketing push to back the launch will not focus on gender, adding that parents should choose the toy they feel is most appropriate for their child. The company said in a statement: "We do not advocate or promote our products as gender specific. Instead, Kinder Surprise Pink and Blue offers a range of interesting new toys in coloured eggs which help parents navigate the toy ranges on offer and make purchasing decisions based on what is most relevant for their child. "Research that we undertook prior to launch indicated that parents welcome this product, with 66% of parents saying it was a good idea to have two separate ranges of toys. In addition, 66% of parents agreed that having a pink and blue Kinder Surprise egg made it easier for them to know which treat to buy for their child." 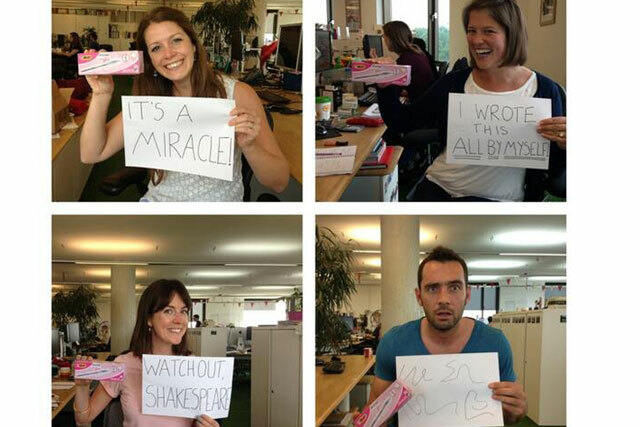 When Bic launched a range of pink and purple pens "designed to fit comfortably in a woman's hand", it presumably did not anticipate the backlash from outraged women around the world, who resented the implication that they struggled to write and needed a pen specially-designed for their delicate hands. Check out the reviews on Amazon for a sample reaction. In its biggest technology launch to date, for the Galaxy S4, one of Samsung's marketing geniuses decided it would be a good idea to target the growing audience of female smartphone users. Unfortunately, the execution was so cringe-makingly sexist that it ended up overshadowing the product. Check out CNN's video of the launch event and watch out for the tumbleweed moment 45 seconds in. While its aim of persuading more girls to pursue a career in science was admirable, the European Commission ended up making a video that looked more like a cosmetics ad. It didn't help that it seemed to struggle with the very concept of a female scientist, as it resorted to stereotypical clichés (male scientists in lab coats, female scientists in short skirts and stilettos). Check out the video here. How this ad got past the drawing board even in 2013 is something of a mystery. Needless to say, it was quickly pulled after it managed to offend both women and its target audience. Progressive political blog Left Foot Forward has preserved a copy of the ad lest we forget just how bad it was. Swedish blogger Emelie Eriksson brought this campaign, branded "honkingly sexist" by Twitter users, to light. Despite its assertion that images for a unisex shirt were "artistic", consumers slammed the US clothing giant for its "sleazy", "sexist" and "degrading" ads, which showed men wearing the shirt, fully clothed (why wouldn't you be?) in a variety of sombre poses, while the female models were half-naked.